There is an unfounded misconception (emphasis on MISconception) that people with disabilities cannot work effectively. The reality is that a large percentage of the disability community are prepared to work and join the labor force. The problem lies in the fact that the majority of employers are unwilling to provide opportunities to people with disabilities, which means that this population faces enormous obstacles in achieving their goals. In 2017, the unemployment rate for people with disabilities was 9.2 percent, which is a 1.3 percent decrease from 2016. While a downward trend may indicate that this population is able to obtain employment, the unemployment rate for people with disabilities is still almost twice the unemployment rate for people without disabilities, 4.2%, which means that there is still substantial progress that needs to be made to empower the disability community. Let’s debunk the disability community’s major obstacle: the social stigma that people with disabilities cannot do good work. There are many benefits to employing people with disabilities, such as reliability, productivity, affordability, and diversity. People with disabilities tend to be more reliable than other groups of people because they take fewer days off, take less sick leave, and commit to their jobs, becoming productive workers in the company. Since members of the disability community are more likely to commit to their position, they tend to be more affordable because recruitment and retainment costs for open positions are lower than the typical recruitment costs for people without disabilities. This occurs because people with disabilities tend to focus on workplace attitude and culture, essentially environments where they will feel most comfortable and productive. Most importantly, people with disabilities contribute to a more diverse workforce by building strong relationships with the people around them, from fellow employees to customers/clients, enhancing staff morale and loyalty. People with disabilities may accomplish their work tasks in different ways than those without, but that does not mean their work is inferior. By employing members of the disability community, companies can enhance their talent pool while building a holistic perspective. There are several approaches that companies can undertake to mitigate their fears of employing people with disabilities without damaging their productivity levels. Perhaps the simplest method is to take opportunities to employ people with disabilities, essentially a trial run – the results may be surprising (in a good way)! Alternatively, companies can utilize job sampling to remove the risk of hiring an unqualified individual. This method allows companies to source potential employees with disabilities while allowing the candidates to determine which position is the best fit for them. 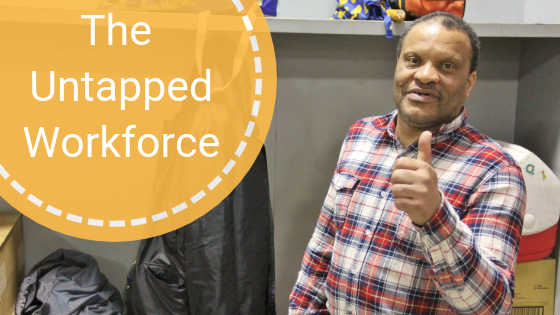 Through job sampling, people with disabilities can find the best work environment and job that suits their needs and companies can learn about the candidates and feel comfortable with hiring a member of the disability community. Additionally, companies can recruit people with disabilities directly from universities by reaching out to their Career center and establishing recruiting events. Company leadership can also showcase their current employees with disabilities success stories on social media platforms or other outreach methods. The more people with disabilities are represented in workplaces, the more the stigma surrounding workers with disabilities, is challenged. We have a responsibility to ensure that members of the disability are afforded the necessary opportunities to succeed. Anybody can play a role in making this a problem of the past, from hiring managers to CEOs. It’s all a matter of taking the initiative to make a difference in the community, which can have a grand impact on the world. 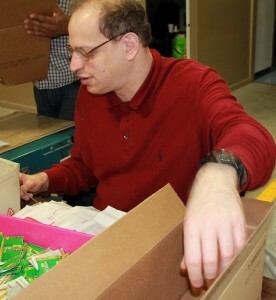 To learn more about how Easterseals is working to combat the stigma and get more people with disabilities integrated into the workforce, visit our employment services page. “Table A. Employment Status of the Civilian Noninstitutional Population by Disability Status and Age, 2016 and 2017 Annual Averages,” Bureau of Labor Statistics, accessed 2 July 2018, https://www.bls.gov/news.release/disabl.a.htm. “Benefits of Employing People with Disability,” Government of West Australia Department of Communities: Disability Services, accessed 2 July 2018, http://www.disability.wa.gov.au/business-and-government1/business-and-government/employing-people-with-disability—-disability-services-commission-disability-wa/benefits-of-employing-people-with-disability.